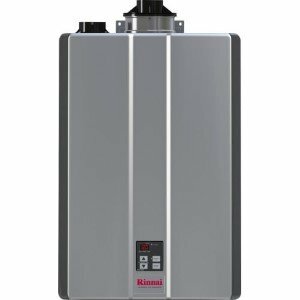 Coming from the Ultra series of condensing water heaters, Rinnai RUC98 tankless model is a perfect unit for large homes and high demanding applications. 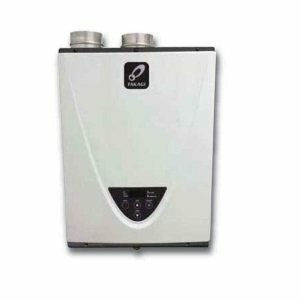 The RUC98 is designed to give you endless hot water while helping you save, even for simultaneous uses at multiple fixtures. One of the most advanced models, RUC98 is capable of providing savings of over 40% using the Eco-friendly and modulating gas burner. 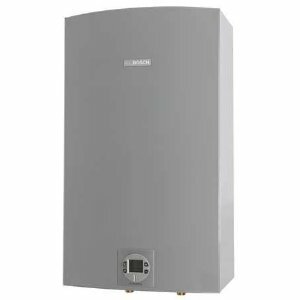 It is ideal for those looking for fast hot water delivery, remote control, Wi-Fi connectivity, and Energy Star compliance. Thanks to the Wi-Fi connectivity, RUC 98 models can now be remotely monitored and controlled using the smartphones and Rinnai App. An integrated controller allows users to set the temperature between 98 and 140 F, or up to 185 F with the commercial controller. Additional controllers can be installed. PVC and CPVC vents; lengths up to 100 ft.
High altitude installation up to 10,200 ft. Excellent performance. Users were happy knowing that there will be no more concerns that water will run out after 2-3 showers. Constant temperature. One of the users tested the unit running several applications at the same time, and he was getting hot water at the steady temperature. Low rate. Rinnai RUC98 has an excellent flow rate (low) to trigger heating. Noticeable savings when compared to electric. Expensive to buy. Very pricey if installing a dedicated return line, especially in the retrofit situation. There is more delay in hot water delivery than the tank unit (some users suggest to get RUR model with the internal pump and recirculation). For amateurs, it might take a long time to install. Note: Professional installation is recommended. No tax rebate if the installation was not done by the professional.